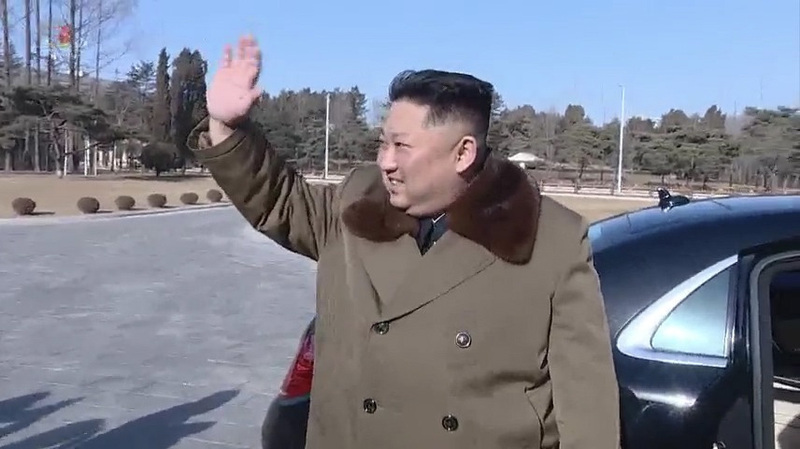 Kim Jong Un appears to have obtained a new Mercedes-Maybach luxury sedan, video broadcast last week and analyzed by NK Pro shows, likely representing another breach of United Nations sanctions which prohibit North Korea from importing luxury automobiles. The vehicle, which stills show to be a new generation Mercedes-Maybach S 600, was seen driving to the Workers’ Party of Korea (WPK) Central Committee building on January 31 and alongside Kim Jong Un at a photo session with an art delegation the same day. 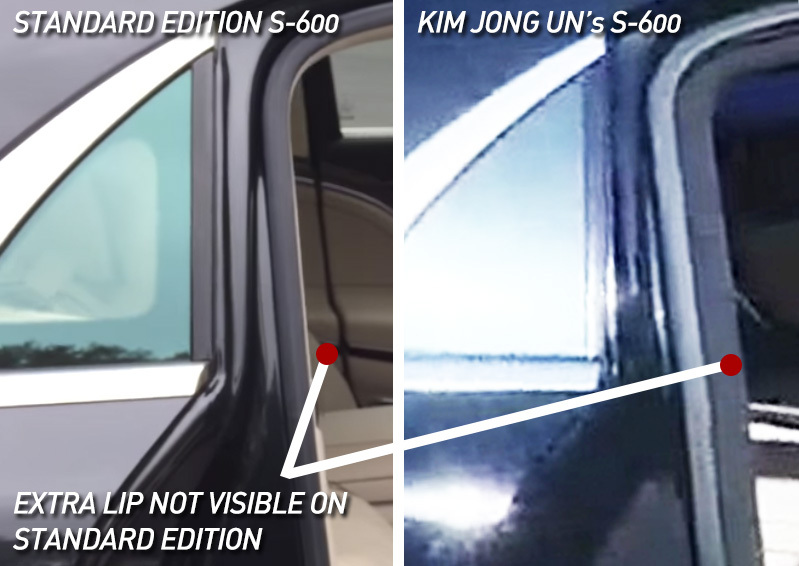 But close-up pictures of the rear-door bodywork showed layering inconsistent with the standard edition of the vehicle, available since February 2015, suggesting Kim may have opted for the exclusive and heavily-armored ‘Guard’ model. “Heads of state and business leaders en route have never been as comfortable and simultaneously as well protected as they are in the new Mercedes-Maybach S 600 Guard,” publicity material about the half-million dollar vehicle says on the Daimler website. “A series of special technical features also ensures that the Maybach S-Class remains mobile during and after an attack and is therefore able to exit the danger zone,” the PR material adds, also describing the car’s “highest levels of ballistic and blast protection”. Similarly, the Motor1 website said that North Korea’s newly-acquired Rolls Royce Phantom – first spotted when Kim Jong Un arrived to meet U.S. Secretary of State Mike Pompeo in October last year – was “almost definitely” armored due to its use by a head-of-state. But just as with the surprise arrival of the Rolls Royce, quite how the Mercedes got to North Korea remains an open question. While ‘PowerDrift’ TV host Sharan Bindra said in April 2016 that Mercedes-Benz “do a total background check for whoever applies to buy (the armored version) … to make sure none of them go into the wrong hands,” brand owners Daimler denied a connection to Kim Jong Un on Friday. “The correct export of products in conformance with the law is a fundamental principle of responsible entrepreneurial activity,” Daimler’s Ute Wüest von Vellberg told NK Pro. But with even the non-armored versions of the Mercedes-Maybach S Class range being described as setting “new benchmarks in the luxury segment,” even indirect resale to North Korea would likely constitute sanctions violations. “I’d say a new Mercedes is a luxury goods violation by North Korea and, probably, its Chinese middlemen,” Tufts University’s Sung-Yoon Lee said. Luxury goods were first banned from export to North Korea under UN Security Council Resolution 1718 passed in 2006, but “luxury automobiles (and motor vehicles)” were not explicitly prohibited until Resolution 2094 passed in March 2013. 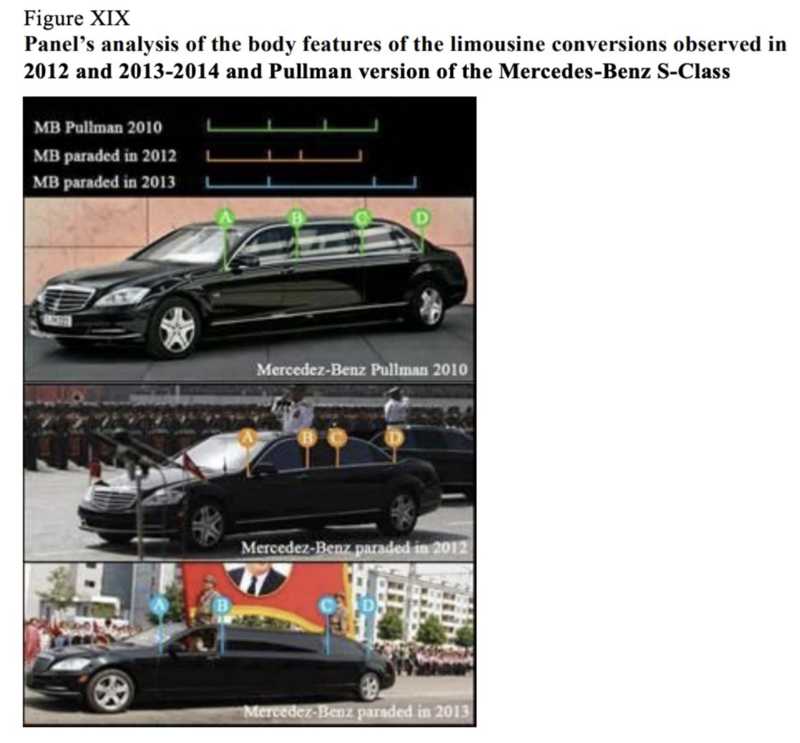 The 1718 Sanctions Committee Panel of Experts (PoE), tasked with managing sanctions on the DPRK, previously found violations when new Mercedes S-Series stretch limousines began to surface at military parades in Pyongyang. Their report the following year found that the vehicles were brought “through their armored customization in the United States to an intermediary in China,” believed to be a man named Yunong Ma (also known as George Ma). According to the panel’s findings, his company, Seajet International, was connected to DPRK state carrier Air Koryo and “was previously involved in an illegal air shipment of arms and related materiel from” North Korea. Subsequent reports have not addressed luxury vehicles spotted inside North Korea in more recent years, though in 2017 Bangladesh customs officials seized a Rolls Royce in Dhaka that was reported to be on its way to the DPRK. The man involved in that delivery, former first secretary at the DPRK embassy in Bangladesh Han Son Ik, had been asked to leave the country just months earlier due to other illegal shipping activities. A Maybach 62 limousine, in addition to the other Mercedes stretch vehicles, was used by Kim and other officials during the U.S.-DPRK summit in Singapore last summer as well as multiple trips to Beijing in the past year. 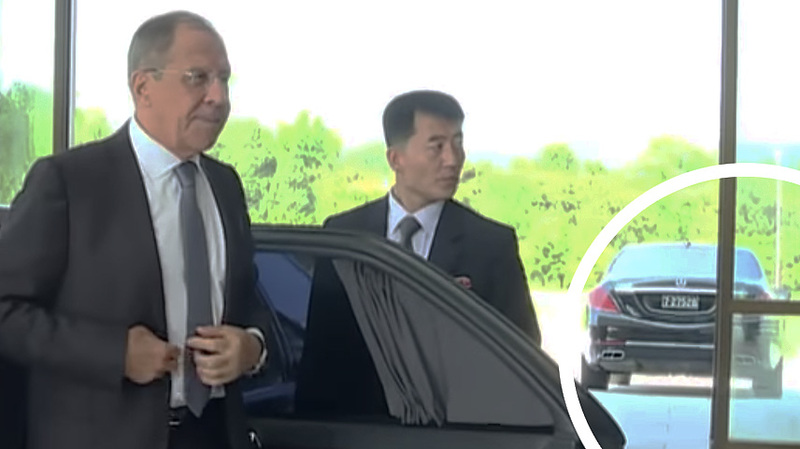 And curiously, a car matching the rear profile of a Mercedes S 600 – with a 7.27 registration plate used only by senior DPRK leadership – was spotted visible in the background when Russian foreign minister Sergei Lavrov met Kim Jong Un in Pyongyang last May. It is, however, unclear whether the car is the same as the one seen adjacent by Kim Jong Un in January, which did not appear to have a registration plate.